"This is my version of Rob’s history. An eventful life and a mobile one. Ask a club member what was Rob doing on such and such a year and they scratch their heads and say, ‘Well he seemed to disappear for a few years’. Keeping tabs on him was always difficult. Asked where have you been, he would say, ‘Oh, visiting an old school friend in New York.’ or ‘Oh, I popped down to see Jack Cann, as well’. or ‘Oh, giving a guided tour of Flemish churches’ or ‘Oh helping a blind friend in Paris or ‘Oh, sailing on the Baltic’. Never mundane, always a surprise. So here is an attempt to give a potted history of Rob from the point of view of a fellow oarsman. He was born in January 1930 with wonderful prospects. His father owned a chocolate factory. His father wanted his sons to have an international education. So after living through the Second World War in occupied Europe, Rob, aged 16, was sent to school in America. Rob’s education was completed at Trinity College, Dublin. It was at Trinity that he took up rowing. He was too light for the first eight so he switched to sculling with considerable success, representing Trinity in the Diamond Sculls and representing Holland in the Olympic Games. In the 1950 Diamond Sculls, Rob battled his way through to the final where he provided the spectators with an exciting race, a truly gutsy performance. Doug Melvin said that Rob should have won. For two years, Rob was the Dutch national champion. In the 1952 Helsinki Olympics, Rob came fifth in the final. In the 1955 European Championships in Ghent, Rob won bronze, beating Douglas Melvin in the semi-finals. After University, where Rob read Commerce, he worked in the family’s chocolate factory but decided that his true vocation was as a journalist. He moved to London and rented a flat. Then homeless Cedric Sheppard came to stay for a few weeks but stayed for two years. This arrangement was a success despite their different life-styles. Cedric disowned Rob when he chose to go running in the strange kit that always marked him out as a non-conformist. There was also always a problem concerning tea. Cedric hid his specially blended tea, rather than waste it on the non-appreciative Rob. How could someone from the Low Countries, educated in America, appreciate the subtle flavours of the perfect blend of tea? In 1959, John Pepys moved to London from Singapore and found a kindred spirit in Rob. Here we had two true gentlemen. 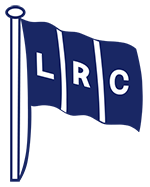 Through them, LRC turned up at regattas all over Europe. No regatta was complete without Rob buzzing round greeting his friends, switching effortlessly from one language to another with matching extravagant gestures while the tall military figure of John explained his needs loudly in his slow deliberate, simplified English that we English use to communicate with Johnny foreigner. Rob’s journalistic career later took him first to Paris and then to Brussels where he extended the vast network of oar persons that made him welcome throughout the European rowing fraternity. In the 1980s he decided to return to England and settle near London Rowing Club. Rob rented a property, which by chance belonged to our member, John Auber, while looking for a suitable house. After some months, he bought a charming house in Fulham which he furnished with Dutch Colonial furniture, seascapes and rowing memorabilia. To complete his home, Michaele came to share his house adding the feminine touch but singularly failing to control Rob. Appropriately enough, this house is within cycling distance of the club. Since his return to London, Rob has been a keen member of the Irregulars. If Rob was in the boat, we always went faster. The verbal advice and the example he set made us give of our best. He was also valued as the leading raconteur at the Wednesday night dinners. Rob was also president of Trinity University Boat Club, member of Leander, De Hoop and numerous other clubs around the world. This of course, only deals with one aspect of his life – rowing. Hints of parallel universes where Rob was also a major player: as a Christian, a sidesman and keen member of the church, a long-time helper with Crisis at Christmas… art critic, barbershop singer, Scottish dancer, public speaker and so the list goes on. No account of Rob would be complete without mentioning his dress sense. For rowing, he kept up the Dutch tradition of well-used kit. In summer he wore, what at one time were white shorts, held up with a large safety pin and a singlet with another safety pin to stop the straps falling off his shoulders. In winter he wore again, what had at one time been white trousers with a sharp crease stitched in, several jumpers with very large moth holes and toilet paper, wrapped around his neck. After rowing, his version of smart casual was a pair of faded pink trousers, hoisted up with a leather belt to show six inches of lower leg. I once saw him in the role of art critic. He was wearing an Edwardian three piece tweed suit with a flamboyant bow tie. With the loss of Rob, the LRC loses a colourful character and for many of us a good friend. He will be missed but never forgotten.